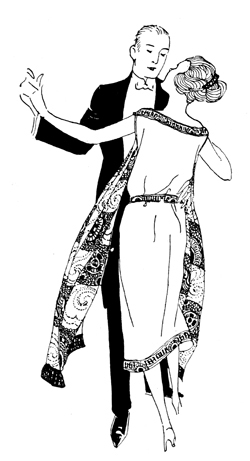 I love this image of a couple dancing from the 1920's. Isn't the trailing scarf detail on that dress pretty fabulous? Of course it would be in the dip or my soup if I tried to wear a style like that.